Do you need any last minute snack ideas for the game today? 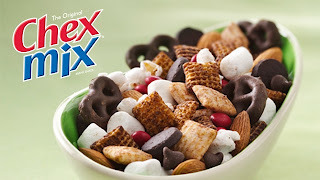 I just found on Pillsbury.com a chex mix recipe for every single team in the NFL. Even if your favorite team is not in the Super Bowl today, it can see be at the party with a special chex mix. Be sure to check them out, and find your favorite. Well that's a good idea! Will have to take note of a couple of those recipes for future use.